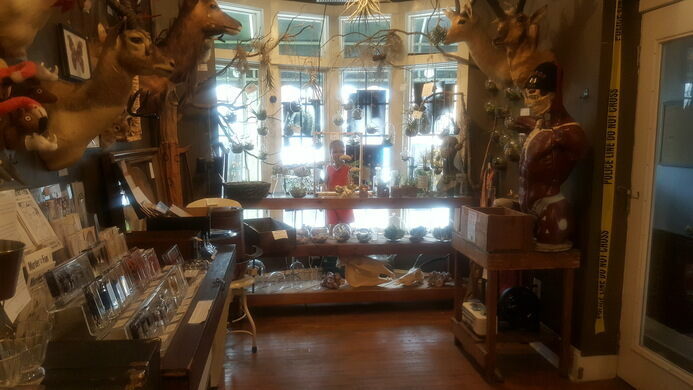 Crammed into a Baltimore row house is an oddities shop that sells everything from skulls to dead insects. 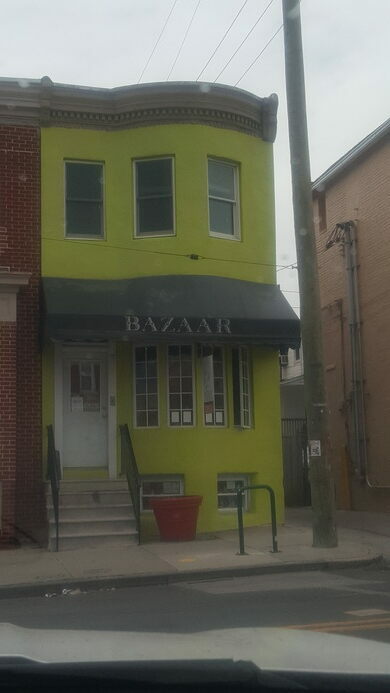 As home to the annual “Hon Festival” where people show up dressed like 1960s housewives to honor a term of endearment, Baltimore’s Hampden neighborhood is no stranger to strangeness, but the Bazaar oddities and taxidermy shop stands out even there. Walk through the history of American pop culture. Packed into a small row house, the store features a variety of taxidermy specimens, antique medical devices, anatomical charts and models, props and costumes from secret societies, skulls, air plants, mourning hair items, and bizarre artwork. Not content to simply collect weird and wild artifacts from across the globe, Bazaar also began producing their own line of diaphonized (dead animals who have been rendered transparent, read more here) wet specimens, bone jewelry, and greeting cards, in addition to hosting regular taxidermy workshops. The store was opened by a pair of local men, a former waiter and a photo lab tech, who simply wanted to share their interest in the interesting. Trying to sum up the ever growing and changing selection of items on offer in the shop is a fool’s errand because it seems like there is something new and unique in every corner of the store. In addition to selling doll-head planters, rare taxidermy, or kitschy fez’s Bazaar also excels at another job: keeping Baltimore weird. The man who first patented the Ouija Board rests in peace beneath a headstone that playfully reflects that achievement. No two pieces are exactly the same at Portland's hippo-themed hardware store. This tiny store is your one-stop shop for all sorts of rare and wonderful buttons.